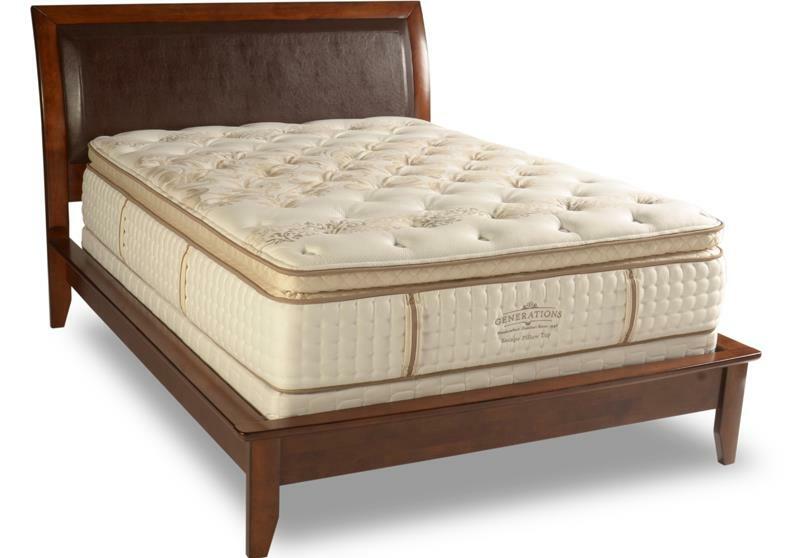 The Generations Escape Queen Luxury Pillow Top Mattress and Oval Pearl 8" Wood Foundation by Diamond Mattress at Michael's Furniture Warehouse in the San Fernando & Los Angeles area. Product availability may vary. Contact us for the most current availability on this product. F096-5050 Queen Oval Pearl Foundation 1 8"
EscapePT-Q Queen Pillow Top Mattress 1 16"
The Generations Escape Collection are our most luxurious traditional models. These beds feature our exclusive nested wrapped coils which provide very responsive support and limits the motion transfer between couples. In addition, Cool GEL technology provides both pressure relief and a cooler sleep surface. The Generations Escape collection is a great option if you are looking for Mattresses in the San Fernando & Los Angeles area. Browse other items in the Generations Escape collection from Michael's Furniture Warehouse in the San Fernando & Los Angeles area.